Don’t Risk A Coupon Dive Course Deal. In recent times there has been a flood of cheap learn to dive coupon courses deal. 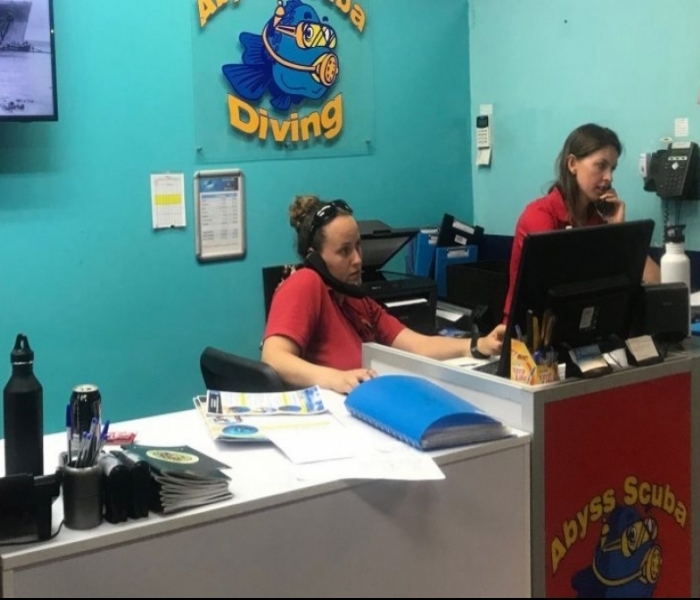 Many people trying to enter the sport have been disappointed in the experience, finding that not only is the certification not a PADI certification but that they have major difficulties fitting into the limited dates available to them. To combat this Abyss have decided to introduce a budget learn to dive course. This course will still be a PADI 5 star open water certifications but we have reduced the cost by increasing the student to instructor ratio to 8:1 to match what the cheaper courses are doing. The Budget dive course deal does not use eLearning and is much less flexible than the standard AbyssPADI 5 star open water course or the private Abyss PADI 5 star open water course. 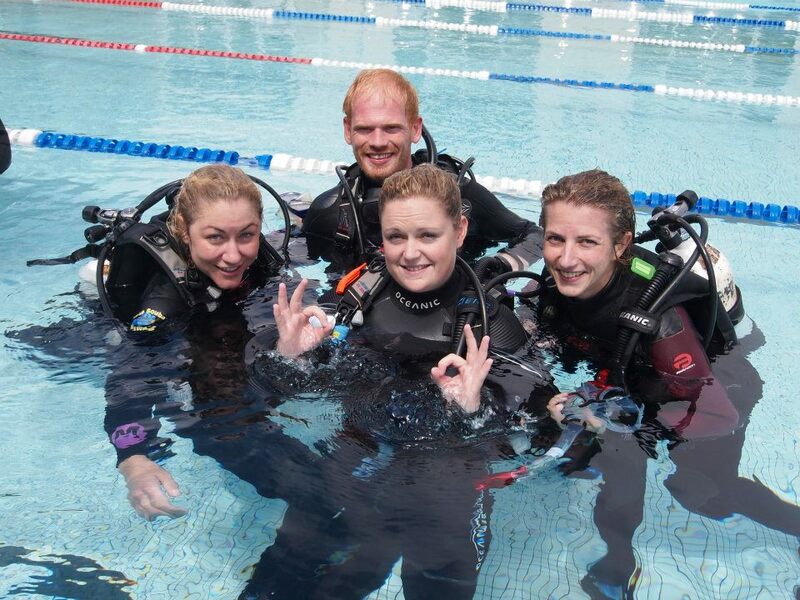 The course involves home study using a PADI open water manual followed by 5 hours theory training on a Sunday then in water training on Monday and Tuesday. 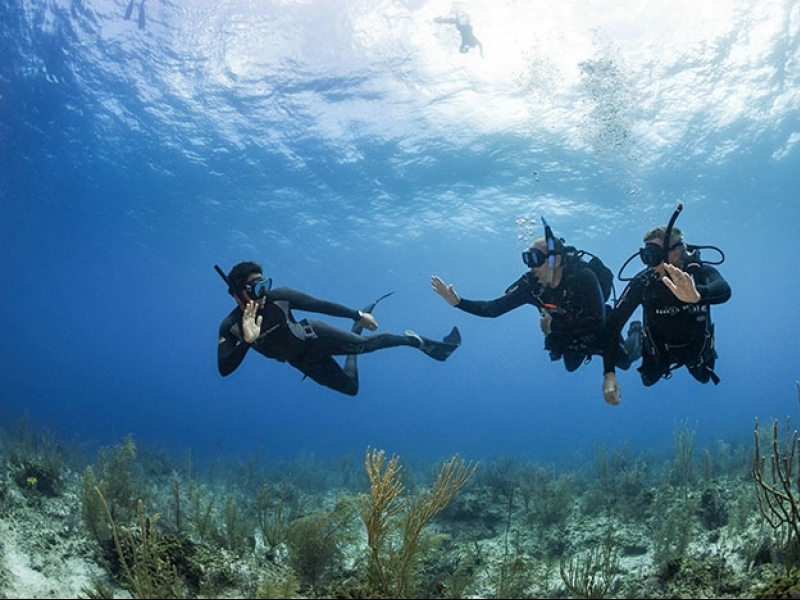 Despite the price advantage of the Budget course deal the standard Abyss Scuba Diving PADI open water course has a number of advantages over the budget course. Smaller class size. In our standard course the student to instructor ratio is half that of the budget course and most competitors course. This ensures that if you have any issues the instructor has the ability to work with you on an individual basis. The smaller class size means that you minimise the time you waist waiting for others to learn skills for this reason you will get more time to dive and hence you will end up a more confident diver. PADI eLearning. This gives you the advantage of flexibility of when you do your theory and because you can go at your own pace, this means the student comes to the course more prepared and more confident to do their in water training. The eLearning approach will save you approximately half a day in time to do the course. PADI eLearning is the world leader in online diver training. Shark Shields. The Abyss standard PADI open water course has the added safety of small classes and Shark Shield for your piece of mind of participants. Because of class size and other considerations the Budget course is not taught with the protection of a shark shield. Please note the Abyss Standard and Private open water courses are the only courses in Sydney that are taught with the protection of Shark Shields. Lunch With the standard Abyss open water course a light lunch is supplied on each day. Unlike our standard dive lessons lunch is not provided during the course and the participants must provide their own lunch on each day. Choice of Days. The standard course has course running Monday-Tuesday, Wednesday-Thursday or Saturday-Sunday giving the participants flexibility to meet their needs. For people who see diving as a lifelong pursuit we recommend upgrading to one of our standard courses. Choose a day that you want your in-water training lessons to start. Monday, Wednesdayand Saturday.